Adelaide - South Australia's capital and as Australia's fifth largest city, has it all. Adelaide is rich in arts and cultural experiences. The perfect starting point for any cultural experience in South Australia is North Terrace, where the state’s library, museum, art gallery and migration museum have pride of place. Adelaide is a small elegant city. Set beside the Torrens River between the Adelaide Hills and the Gulf of St Vincent. The Adelaide city centre is surrounded by green parklands and is a blend of historic buildings, wide streets, shops, street cafes and restaurants. 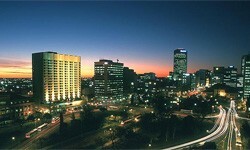 Adelaide is regarded as the food and wine capital of Australia. Adelaide is a quick and easy place to get around, with an integrated bus, train and tram public transport system connecting all parts of the city and suburbs. Adelaide is easily accessed by air from all Australian capital cities and international destinations. Places of interest in Adelaide: Sir Donald Bradman Collection Exhibition at the State Library, explore the world's largest collection of indigenous artefacts in the Australian Aboriginal Cultures Gallery in the South Australian Museum.